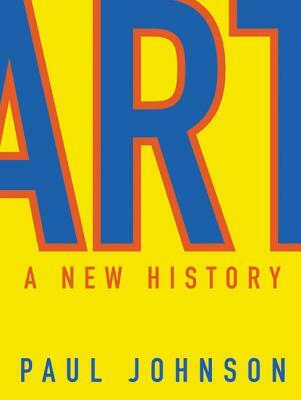 In Art: A New History, Paul Johnson turns his great gifts as a world historian to a subject that has enthralled him all his life: the history of art. This narrative account, from the earliest cave paintings up to the present day, has new things to say about almost every period of art. Taking account of changing scholarship and shifting opinions, he draws our attention to a number of neglected artists and styles, especially in Scandinavia, Germany, Russia and the Americas. Paul Johnson puts the creative originality of the individual at the heart of his story. He pays particular attention to key periods: the emergence of the artistic personality in the Renaissance, the new realism of the early seventeenth century, the discovery of landscape painting as a separate art form, and the rise of ideological art. He notes the division of 'fashion art' and fine art at the beginning of the twentieth century, and how it has now widened. Though challenging and controversial, Paul Johnson is not primarily a revisionist. He is a passionate lover of beauty who finds creativity in many places. With 300 colour illustrations, this book is vivid, evocative and immensely readable, whether the author is describing the beauty of Egyptian low-relief carving or the medieval cathedrals of Europe, the watercolours of Thomas Girtin or the utility of Roman bridges ('the best bridges in history'), the genius of Andrew Wyeth or the tranquility of the Great Mosque at Damascus, the paintings of Ilya Repin or a carpet-page from the Lindisfarne Gospels. The warmth and enthusiasm of Paul Johnson's descriptions will send readers hurrying off to see these wonders for themselves.